BUTUAN CITY, Dec. 28 (PIA) -- The Philippine Information Agency (PIA) in Caraga and in Northern Mindanao have been on a 24-hour operation since tropical storm “Sendong” struck Region 10 on Dec. 17, and even when a low pressure area (LPA) hit the Northeastern portion of Mindanao on Christmas Day. This, after PIA Northern and Northeastern Mindanao Cluster Head Abner Caga directed all personnel in the two regions to be always available to respond to the information and communication needs of the public. “In times of disasters, the public must be informed of the latest news and information round-the-clock… This must be undertaken because through providing information, we could be able to save lives and properties,” Caga said. Caga further said, it is the primary duty of government information officers to be of service to the public when needed. “… and during these times, the public needs these services,” he added. Furthermore, Caga said whenever calamities struck, PIA employees never stopped delivering news and information on the weather updates, situation reports of all the areas hit by the calamity, and any other pertinent information that will give the reader a scenario of what is happening in a certain area. In a related development, Dir. Caga underscored the importance of the short messaging services (SMS) and other electronic communication channels that PIA is utilizing in information and communication dissemination. He said through SMS, news and information are sent and received by the recipients in a real-time basis. “This is actually the fastest means of disseminating information to the public especially in times of calamities,” Caga said. Aside from the SMS, the use of the web-based electronic communications such as the PIA website, blogspot and FaceBook of PIA-Caraga and Northern Mindanao allows people everywhere to know the latest news and developments in the country, particularly in the two regions of Mindanao. Moreover, Dir. Caga said the “One Mindanao” electronic news magazine is becoming more significant nowadays with thousands of recipients receiving copies daily through their email accounts. Recipients are coming from the seven continents of the world. BUTUAN CITY, Dec. 28 (PIA) -- The City Health Office (CHO) in this city has fully implemented the inter-barangay health zone, said CHO chief Dr. Josephine Chua, in an interview with a local radio station here recently. According to Dr. Chua, as of press time, 24 public birthing clinics have been installed in different barangays of the city. This has prompted them to implement a zoning system where nearby barangay residents can avail of the services. “Aduna kitay 24 ka mga public birthing clinics nga nahimutang sa nagkalain-laing barangay sa atond dakbayan. Tungod niini, gimugna ang zoning system aron mahatagan usab og kahigayunan ang mga sikbit nga barangay nga maka-avail sa maong serbisyo sa birthing clinic,” Chua said. The inter-barangay health zone is a zoning or clustering of the 86 barangays based on location. Those barangays that have birthing clinics may share the services to the nearby barangays. BUTUAN CITY, Dec. 28 (PIA) -- Butuan City Police Office (BCPO) Director, PSupt. Pedro Obaldo reminded the public to be vigilant against criminals as New Year’s eve approaches. This developed after the police desk here received complaints of robbery, snatching, holdup, among others petty crimes. The official said those who were victimized by these criminals should immediately get in touch with their office. He also made the assurance that said cases will be given appropriate action. The police chief here added the public should also be careful and watchful. They have to make sure that they will not give criminals the opportunity to do such criminal acts to them. AGUSAN DEL SUR, Dec. 28 (PIA) -- For the last quarter of this year, five sightings of the Communist Party of the Philippines, New People’s Army/ National Democratic Front (CNN) three extortion activities and five hostile plans were recorded by the 75th Infantry Battalion of the Philippine Army under Lt. Col. Danila Benavidez within the vicinity of five municipalities located at the southern part of Agusan del Sur. In Sitio Agpan, Barangay Imelda, Bunawan, five armed CNN were seen, bringing their firearms place inside a rice sack, asking civilians about the plans of the government forces in the area and threatening to drive away the residents in the place if they will not follow their rules. Still in Brgy. Imelda, another two CNN were seen transporting drugs for their wounded comrades. The following day, another sighting of some 20 CNN wearing bonnet also in Brgy. Imelda was noted. Another 20 armed CNN were noted in Bayugan 3 heading towards the southern direction, while some 50 armed CNN were seen in Sitio Maot Trento, carrying their 12 wounded comrades. The CNN also held two saddam trucks of one Nading Elorde in Bunawan town while asking for additional revolutionary tax. After some negotiations, the trucks were released. They also destroyed a thicker of certain Cabunita in Barangay Wasian, Rosario for refusing to pay revolutionary tax. Along with their extortion activities, the CNN took a carabao in Bgy. Wasian, Rosario and brought the animal to Bunawan Brook and slaughtered it. Together with the carabao, they also took six chainsaws from residents of Wasian. The army also discovered some hostile plans of the CNN. In Brgy. Bayugan 3, Rosario, they planned to attack the Earth Saver Security outpost in Ridge mountain and planned to conduct hostile activities to DOLE company located in Brgy. Cabantao, still in Rosario town. Another more or less 30 armed CNN were sited in Barangay Sion, Sta. Josefa planning to attack the civilian armed auxiliary (CAA) quarters in Sta. Josefa and Veruela Barangay Katipunan and Barangay Sta. Cruz in Veruela that blended with the civilian sympathizers purposely to recruit additional members but were later discovered to attack the Katipunan patrol base and del Monte patrol base and the municipal police stations of the municipality of Veruela and Sta. Josefa. Two members of the CAA were also ambushed by the CNN in Barangay Cuevas, Trento, killing one Larry Cortes while Roden Alsada escaped death. They also shot to death one Rogen Conejar who was riding in his motorcycle in Barangay Libertad, Bunawan, Agusan del Sur. “While the presence of the CNN in the province is a threat to peace and order, we are doing our best to neutralize them. In fact, since April of this year, eight have already surrendered to us, and were neutralized. We are also giving due attention to violent incidents but we see to it that no civilians will be caught in crossfire,” Lt. Col. Benavidez said. BUTUAN CITY, Dec. 28 (PIA) -– Department of Health (DOH) - Center for Health Development (CHD) Caraga Regional Director Leonita Gorgolon recently said they have only recorded three firecracker-related incidents during the celebration of Christmas eve. Gorgolon said the three victims ranged from 5 to 13 years old, who were residents of Tandag City, Surigao del Sur. She added they were injured by piccolo and are now properly taken care of. “The victims are 2 females and 1 male aged 5, 7 and 13 years old, respectively, who were injured in their hands by a piccolo,” Gorgolon said. However, the health chief of the region said the DOH is happy to know that the number of injuries has drastically decreased this year compared to the previous years. “Malipayon kita kay ikumpara nato last year, mas daghan-daghan gyud ang na-injured sa mga firecrackers,” Gorgolon stressed. Gorgolon said although they will monitor until January 1, 2012, she is hoping that there will be no injuries to be added in their list. Of the three victims, she said they are all in the outpatient department. “This means that they only have minor injuries,” Gorgolon said. Further, Gorgolon said they have surveillance officers in all public and private hospitals in the region who are tasked to report any patients who are injured with firecrackers a day before Christmas eve until January 1, 2012. The DOH is also coordinating with the local government units for monitoring purpose. Gorgolon added in this way, the DOH could be able to monitor victims of firecracker-related incidents and proper action will be immediately made. BUTUAN CITY, Dec. 28 (PIA) -– In an effort to prepare the women of the province of Agusan del Norte for any livelihood opportunities, the Provincial Social Welfare and Development (PSWD) Office continues to provide livelihood skills trainings and programs. In an interview with a local radio station here recently, assistant PSWD officer Daisy Dimaguiba said they have been providing different kinds of livelihood skills trainings and programs to the women in the municipalities of Magallanes and Buenavista, in cooperation with the Municipal Social Welfare and Development (MSWD) offices of the two municipalities. Dimaguiba said the training is aimed to equip the women especially the mothers in the said municipalities with necessary skills to be used in establishing their livelihood opportunities. “With this, they will get income as soon as they will apply what they have learned in the trainings,” the official added. “Adunay ubay-ubay na nga mga kababayen-an ilabi na ang mga inahan nga nakabenepisyo na niani nga mga pagbansay tungod kay nakita nila ang positibo nga ilang makuha human sila makapahigayon sa maong pagbansay,” Dimaguiba said. The official further said the trainings will be strengthened and continued next year in other municipalities of the province. BUTUAN CITY, Dec. 28 (PIA) -- Since the low pressure area hit the city and the entire Caraga Region on Sunday (Dec. 24) causing some floods in some barangays here, the monitoring team of the City Disaster Risk Reduction and Management Council (CDRRMC) continues to regularly check the water level in Agusan River. In an interview with a local radio station here recently, City Mayor Ferdinand Amante said residents in some low-lying barangays like in Brgy. Golden Ribbon were already evacuated to their barangay covered court, as flood water has already submerged their houses. As of 8:00 last night, water level in Agusan River was at 2.50 meters, prompting the city government to declare alert level two in the entire city. Mayor Amante gave the order for evacuation units to be deployed to flooded barangays and enforces selective evacuation. Amante also said the CDRRMC has already given series of warnings to flood-prone areas that are situated along the riverbank of Agusan River. 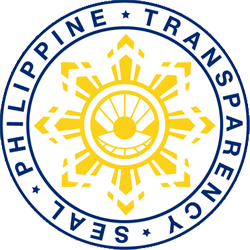 Mayor Amante also said through the local media and the Philippine Information Agency (PIA), that advisories were already broadcasted or aired, as well as disseminated to the public through the short messaging service (SMS). Amante assured the people here that the city officials along with the stakeholders of the CDRRMC are constantly monitoring the water level of Agusan River, known as one of the longest rivers in Mindanao. Meanwhile, the Butuan Search and Rescue Team (BuSART) is with the CDRRMC members in monitoring the situation in the 86 barangays of this city as weather is still unstable as of press time. At 7:00 this morning, water level was measured at 2.30 meters, and the flood alert level two issued last night was lowered to level one. CDRRMC reported that a total of 11 barangays were flooded and 71 families have been evacuated. However, residents in low-lying barangays are advised to stay on alert until the water level goes back to normal. According to CDRRMC, the normal water level of the Agusan River is measured at 0.9 meters. However, the council said residents who are housed in evacuation centers are advised not to go back to their homes should water level goes back to normal today because the flood water coming from Agusan del Sur is still traversing the Agusan River. “Anytime now, water level in the river increases if Agusan del Sur is still flooded,” an official from the CDRRMC said in a phone-patch interview. BUTUAN CITY, Dec. 28 (PIA) -- The Italian government through the Italian Embassy in the Philippines organized an humanitarian aid mission for survivors of tropical storm “Sendong” in Northern Mindanao regions. The value of the assistance operation is around £500,000. The goods were flown in to Davao City yesterday, from the United Nations Humanitarian Response Dept (UNHRD) in Subang, Malaysia. The 40-ton relief good comprised tents, materials for emergency shelters, water filters and containers, and were already transported to Cagayan de Oro City. The Charge d’ Affairs of the Embassy of Italy in Manila, Alfonso Tagliaferri, went to Cagayan de Oro today to formally donate the goods, in behalf of the Italian government. Said goods and items were received by the representatives of the local Department of Social Welfare and Development, who will be heading the distribution to the greatly affected barangays. Meanwhile, volunteers from the Italian non-government organization Sant’Egidio will be collaborating with them in the distribution of goods. BUTUAN CITY, Dec. 28 (PIA) -- More than 1,000 Overseas Filipino Workers (OFWs) and their dependents celebrated Christmas with the Overseas Workers Welfare Administration (OWWA) Caraga through the OFW Family Day 2011 at Dottie’s Place Hotel and Restaurant, this city. Mrs. Lilybeth C. Deronia, wife of OFW Zaldy E. Deronia who works as Engineer in Vietnam attended the activity even in the absence of her husband. She said this is not the first time that they celebrated Christmas without him. However, they still feel the presence of Christmas through gift-giving and by joining activities such as the OFW Family Day. Others who participated the activity are the OFW organizations from different municipalities and cities of OFWs in Caraga Region. Some where even from areas of San Benito, Surigao del Norte and Hinatuan of Surigao del Sur which were affected by typhoon “Sendong”. Myriad of dance and song presentations from the academe were showcased in the program while the OFW Organizations shared their talents thru the OFW Got Talent Competition. Palarong OFW like “Bring Me…” added color to the activity. However, the giving of raffle prizes served as the highlight of the activity. Some of the prizes given were appliances like refrigerator (1), desk fan (10) stand fan (10), box fan, rice cooker (5), washing machine, blender, microwave, coffee maker, oven toaster, mountain bike (2), items from Globe, Banco de Oro (BDO), Dept. of Trade and Industry (DTI), cash prize of P500 and P10,000 from On-Line Hiring Agency and PAG-IBIG. More than 50 persons were also given checks amount ranges from five thousand pesos to two hundred thousand pesos under OWWA’s regular programs like ELAP, OFW-DSP Scholarship and SICP. The Guest of Honor, an NRCO Officer and former Labor Attaché to Jeddah and Kuwait, Atty. Bulyok Nilong kept the OFWs and their families high spirited and well-informed regarding the NRCO Reintegration Program during his speech. SURIGAO CITY, Dis. 28 (PIA) – Mokabat sa 288 na ka mga pamilya o 1,284 ka mga indibidwal ang natala nga mibakwit gikan sa ilang mga pinuy-anan niadtong adlawng Lunes sa probinsya sa Surigao del Norte ug Dinagat Islands taliwala sa pagtaas sa tubig baha tungod sa makusog nga pag-ulan dala sa low pressure area sa Mindanao. Ang Surigao City Disaster Risk Reduction and Management Council (DRRMC) miingon nga usa ka 1-katuig ug 7 ka bulan nga batang babaye nga naila nga si Roan Libres gikan sa Brgy. San Roque, Surigao City ang gitaho nga nawala sukad pa niadtong miaging adlaw. Kini gitaho nga ang maong bata aksidenteng gianod sa makusog nga baha. Ang quick action response team (QART) sa syudad padayon pa gihapon hangtod karon sa pagpahigayon og search and retrieval operation. Samtang ang CDRRMC mitaho usab nga mokabat sa 167 ka mga pamilya o 676 ka mga indibidwal ang mibakwit ngadto sa nagkalin-laing mga evacuation centers sa syudad. Didto sa Brgy. Taganito, Claver, tulo ka mga pamilya o 18 ka mga indibidwal ang mibakwit ngadto sa Brgy. Taganito Gymnasium. Didto sa Brgy, Mabuhay, Sison, adunay 43 ka mga pamilya o 215 ka mga indibidwal ang mibakwit ngadto sa Mabuhay Elementary School, Didto sa Brgy. Cauilan, Tubod, adunay 12 ka mga pamilya o 60 ka mga indibidwal ang gidala ngadto sa ilang Brgy. Multi-Purpose Hall samtang 35 ka mga pamilya o 175 ka mga indibidwal gikan sa Brgy. Magsaysay, Placer ang mibakwit ngadto sa ilang municipal dome, matud pa sa taho gikan sa Surigao del Norte PDRRMC. Samtang didto sa Dinagat Islands, usa ka barangay sa lungsod sa Libjo ang apektado uban ang 20 ka mga pamilya o 100 ka mga indibidwal gikan sa Brgy. San Antonio ang mibakwit ngadto sa San Antonio, Libjo PBMA chapter building, matud sa taho gikan sa Dinagat Islands PDRRMC. SURIGAO CITY, Dis. 28 (PIA) – Si Pangulong Benigno S. Aquino III mihangyo ngadto sa publiko nga unta dili mogamit og mga pabuto aron malikayan ang mga kadaot ug pagkawala sa mga kinabuhi atol sa pagselebrar sa Bag-ong Tuig. "Humaharap po ako sa inyo ngayon upang makiusap: Sama-sama nating salubungin ang bagong taon, gamit ang ingay—hindi mula sa paputok—ngunit sa kolektibo nating sigaw sa isang masigla at mas ligtas na pagdiriwang," ang Pangulo miingon sa iyang mensahe mahitungod sa paggamit og mga pabuto sa Bag-ong Tuig. Ang Pangulong Aquino mihimo sa maong hangyo, uban ang pagpasabot sa taas nga ihap sa mga biktima sa pabuto niadtong niaging tuig nga selebrasyon sa Bag-ong Tuig. "Napakarami po kasing nalalagay sa panganib dahil sa paputok. Umabot po sa isanlibo at dalawampu’t dalawa ang nadisgrasya noong nakaraang taon. Karamihan po rito ay dahil sa paggamit ng paputok; at ilan din ang napinsala ng ligaw na bala at pagkalason," siya miingon. "Maaari po tayong magtipon sa kani-kaniya nating mga pasyalan at plaza upang panoorin ang mga fireworks display na isinasagawa ng ating munisipyo at ng pribadong sektor. Maaari ring mag-ingay sa ibang paraan—sa kalampag, sa torotot, o sa tugtugin. Ligtas na paraan po ang mga ito," si Pangulong Aquino miingon. Ang Pangulo, usab, mi-awhag sa matag usa nga sundon ang kampanyang APIR alang sa ilang kaugalingong kaluwasan. "Ngayong paganda na nang paganda ang sitwasyon natin, tatangkilikin mo ba ang mga paputok na may pangalang Goodbye Philippines o Goodbye Universe? 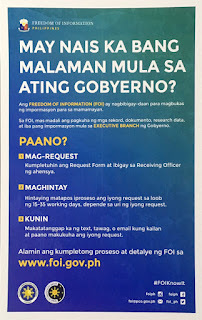 Hindi po ba’t mas mabuting salubungin ang taon nang Goodbye Kapahamakan, at Hello Pagbabago,? ang Pangulo midason. Siya miingon ang kampanyang APIR nagtinguha usab nga malikayan o maminosan ang makadaot nga mga epekto sa pabuto ngadto sa kinaiyahan. "Sa pagpapaputok, napapasama po ang kondisyon ng hangin na sama-sama naman nating nilalanghap. Samaktuwid, isinusugal natin, hindi lamang ang ating kalusugan at buhay—kundi maging ang kapakanan ng iba," siya miingon. Ang Pangulo sa susama mipagawas og direkriba ngadto sa Philipine National Police (PNP) nga estriktong ipatuman ang balaod batok pabuto ug pakwitis ug dakpon dili lamang kadtong mga namaligya apan lakip usab ang mga mipalit ug migamit sa maong baligya. "Gayundin, humihingi po ako ng tulong sa inyo (public): Huwag na po ninyong tangkilikin ang mga paputok na ito; ipag-alaman din sa kinauukulan ang mga makitang nagtitinda o may tangan ng mga ito," ang Pangulo mipasabot.